Welcome to the Year 5030 AD, three millenia into the future. In the frontiers of Outer Space, a number of alien races exist, and vie with each other for control of resource-rich star systems. 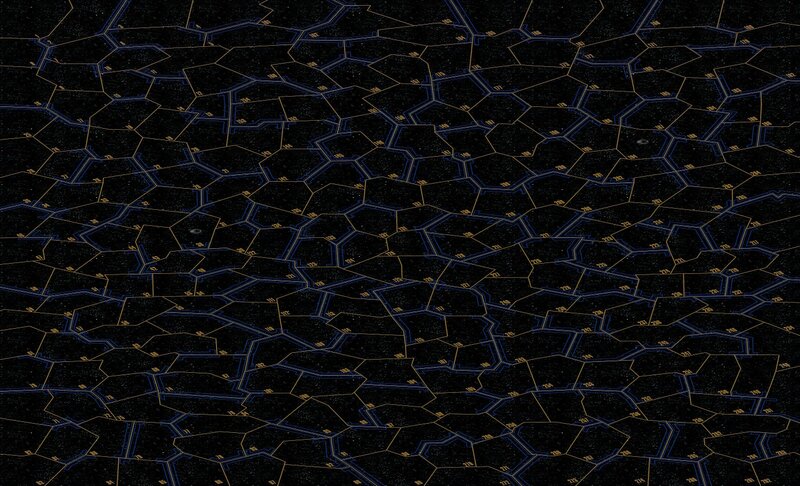 Here you may lead an interstellar empire, sending forth your fleets of starships to carve out an empire. Should you fail, not only will your nation crumble, but your race will be either subjugated or annhilated. To survive against this menace, you will need to use well-planned tactics, clever scheming, and ruthless determination. 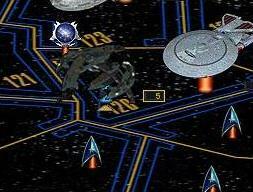 The current scenario available is Galactic Warlords: Trek Wars. This game is provided as a complementary service to the web gaming community - all who enjoy wargames are welcome to join! You can also join the Discussion Group for the game, which is an excellent place to ask questions and so forth. But, please do not conduct your private diplomacy here, because messages sent to the group will be received by everyone (for diplomatic discussions, you should email your neighbors privately). To subscribe, simply type in your email below, and press "Join Up". Note 2: There is currently NO upgraded version of the diploware for this scenario. Note 3: For Windows 2000 users only: You need to have a font installed on your computer. Please download and install this font (install it into your windows fonts). To get it, Click Here. Just ignore this if you have a different version of Windows. Note 4: There is a very nice game map available, suitable for printing and planning your military campaigns. To view this (2 MB) Click Here. When the map is shown, you can save it to your computer by right-clicking and using the "Save As" option. Note 5: You heard correctly, the game is completely free! As an option you may choose to donate to support the game, which brings a few additional perquisites. This is completely optional though, and is explained in the Rulebook. To send a donation to the G.M., Click Here . Copyright Ancient Guardian Enterprises 2003-2012, All Rights Reserved.